Lift construction projects across New England are hitting full stride as spring shrinks in the rear view mirror. In Maine, brand new Doppelmayr parts are arriving at Sunday River whilst blasting takes place on the Spruce Peak Triple lift line. A new loading carpet triple chairlift will be installed for the 2017-18 season, after the peak was without lift service last season due to the footing failure of the former triple. Rumors still continue to swirl about a possible Saddleback sale and lift installation this year. In New Hampshire, construction continues on the Peak Triple at Pats Peak. 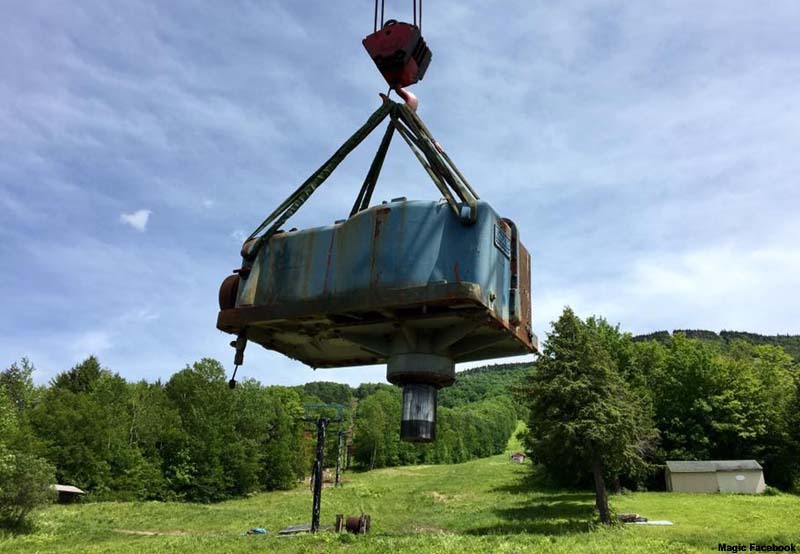 Formerly of Ascutney, the CTEC chairlift replaces the original Mueller Peak Double, which has now been removed. Whaleback has continued prep work for its planned Hall T-Bar installation on the west side of the area. Additional Granite State lift installations may still be announced. 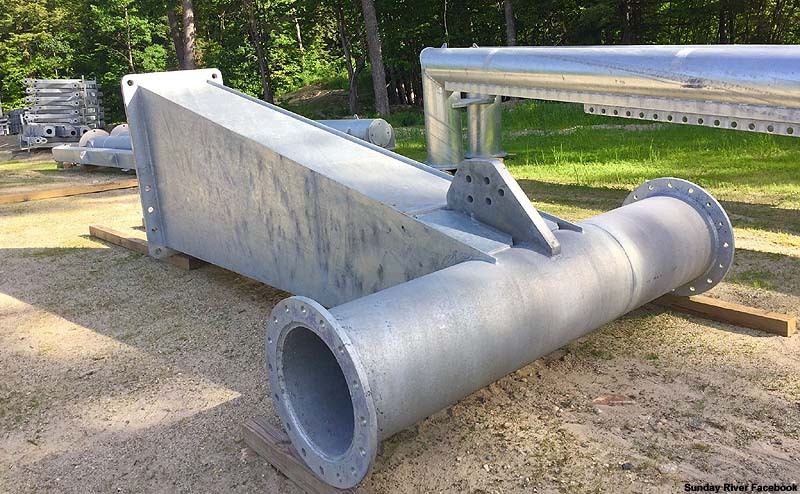 Waterville Valley has applied with the United States Forest Service to replace its Pasture J-Bar and Kinderpark Carpet with two new Magic Carpet lifts as part of a larger 2017 capital investment. A recent Waterville Valley Facebook post stated, "we do have multiple options in development regarding the High Country lift." 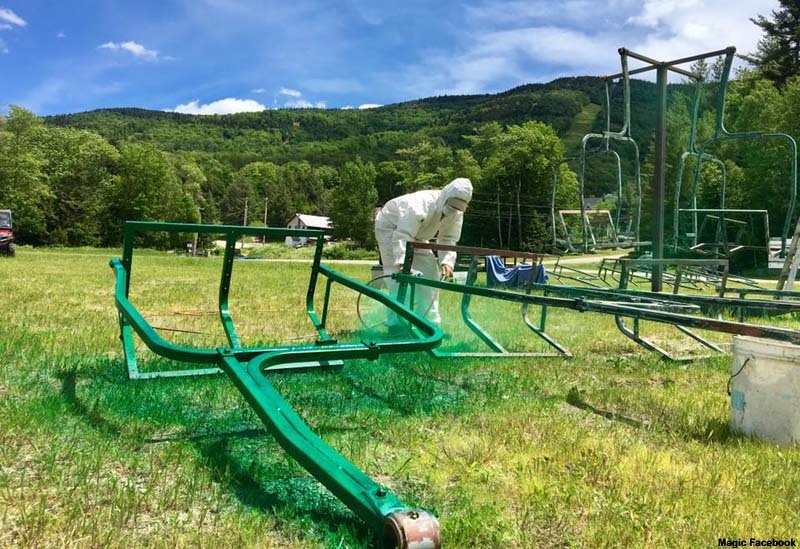 In Vermont, Sugarbush recently received Vermont Act 250 permits for its Sunnyside and Village lift replacements. Both half century old double chairlifts have been removed and will be replaced with new Doppelmayr fixed grip quad chairlifts. Burke has begun its project to replace the historic Pomalift with a new Leitner Poma T-Bar. Meanwhile, Magic Mountain has continued work on its Green Chair installation. 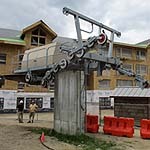 Installation of the 1982 Borvig (formerly the Betwixed Double at Stratton Mountain) began in 2003, but halted soon thereafter. New ownership has been rebuilding tower assemblies and painting chairs, and most recently removed the gear box for refurbishing. A new haul rope has also been ordered.